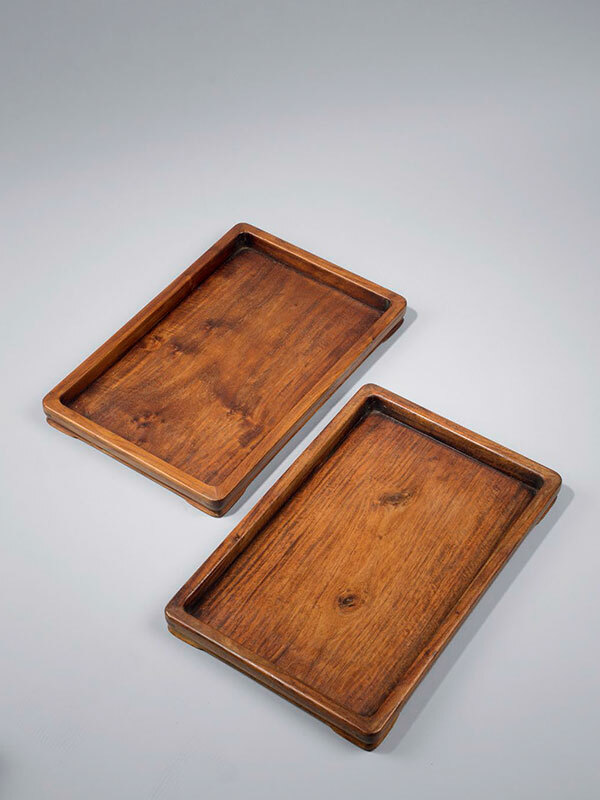 Three huanghuali rectangular trays, each made of four lengths of wood joined together by a thick panel. Each tray is supported on a low, splayed footrim, which forms in bracket shapes around the corners of the base. The round corners show the dovetail joints. 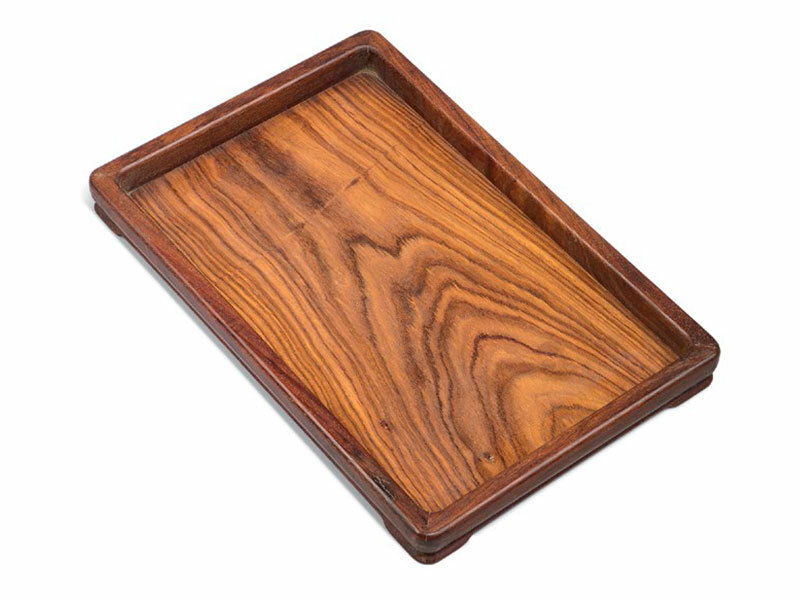 Each tray is completely plain, showing the strongly-figured grain of the wood.